Obama SOTU gun comments will be good for Hillary Clinton. Hillary Clinton speaks at the Democratic National Committee’s Women’s Leadership Forum on Oct. 23, 2015, in Washington, D.C. The White House is hyping President Obama’s final State of the Union address as an “untraditional” affair, one that will forsake the usual laundry list of policy proposals in order to make an optimistic case for the country’s present and future—a message that doubles as the case for Americans to choose a successor that would keep the country on the same course. In the long run, that’s an argument that Hillary Clinton will be eager for general election voters to hear. In the short term, though, as the Democratic front-runner looks to fend off a stronger-than-expected primary challenge from Bernie Sanders, Clinton probably would prefer Obama go smaller and stick to his most recent script: the need for stricter gun regulations. The more the president talks about guns and gun violence on Tuesday, the better for Hillary. That’s because guns are one—and perhaps the only—area where Clinton is clearly to Sanders’ left, a dynamic that she has already used to great effect on the campaign trail. During the first debate in late October, Hillary delivered a surprisingly stellar performance in large part because she was able to use Sanders’ 2005 vote to shield gun-makers and dealers from lawsuits as a weapon against him. In the months since, she and her allies have kept her gun proposals—and by extension, Sanders’ vote—in the spotlight with campaign ads and talking points. In a race where Clinton is seen as overly pragmatic and Sanders much more idealistic, guns are the rare issue where Hillary seems to soar while her challenger flies much closer to the ground. Clinton ramped up her attacks even further this past week as Obama brought the issue front and center in Washington with the announcement of a set of modest executive actions aimed at blunting gun violence, and a tearful press conference calling for action. During a Sunday appearance on CBS’s Face the Nation, Clinton again pointed to Sanders’ vote. 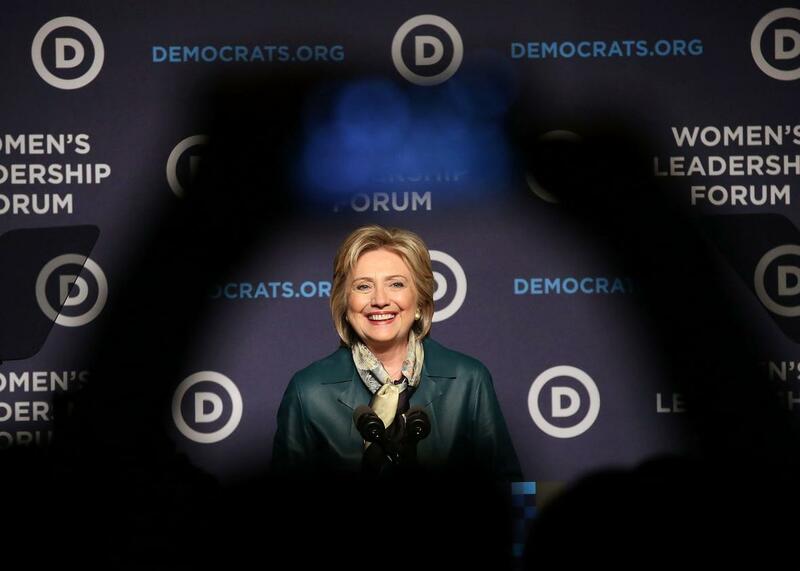 “It’s a difference that Democratic voters in our primary can take into account,” she said. The following evening, her campaign press team continued the offensive, pointing reporters to video of Sanders defending his vote at an Iowa forum earlier that day. “Bernie Sanders Doubles Down, Says Immunity Vote for Gun Manufacturers Not a Mistake,” read the campaign’s email subject line. On Tuesday, Team Clinton was hyping a conveniently timed endorsement from the Brady Campaign to Prevent Gun Violence, which follows similar high-profile announcements from other gun-control advocates, including Gabby Giffords and Trayvon Martin’s mother, Sybrina Fulton. We’ll have to wait until tonight to see how much Obama talks about guns, though the empty seat his wife will be sitting next to suggests the issue will get significant attention. Obama’s speech about the country’s political future may have a more immediate impact on his party’s political present.